New Range Rover is World’s First Lightweight Aluminum SUV - Something New Everyday! 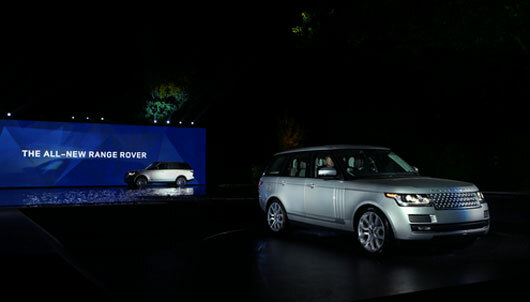 Yesterday, Land Rover unveiled the all-new Range Rover. This Range Rover, unveiled at the Royal Ballet School at an exclusive launch event, is the world's first SUV with a lightweight all-aluminum body structure. The lightest SUV in its class, the new Range Rover is an indication of Jaguar Land Rover's intentions to strive towards efficiency and sustainability in carbon-conscious world. Further details of a Hybrid version will also be released. The new model features a lightweight all-aluminum body structure resulting in a 420kg (20%) weight saving over outgoing models and delivering improved fuel economy and CO2 emissions. The aluminum body structure is the result of Jaguar Land Rover's research and development into high-tech aluminum manufacturing technology.